As of October 15, 2014, Carbon Monoxide Alarms are now mandatory. Ontario is taking another step to keep families and homes safe by making carbon monoxide detectors mandatory in all residential homes. The new regulation, which comes into effect October 15, 2014, updates Ontario's Fire Code following the passage of Bill 77 last year. Carbon Monoxide Alarms can be hardwired, battery-operated or plugged into the wall. There are no vent free natural gas or propane fireplace systems or heaters approved for sale/installation in Canada. A nuisance alarm is when a smoke alarm accidentally activates, generally due to cooking activities or steam from the shower. Unfortunately, people often respond to nuisance alarms by removing the battery from the alarm or shutting off the circuit breaker. This is a very bad idea. Not only is it against the law, it may leave your home and your family at serious risk if a fire occurs. Fortunately, there are some very effective ways to address the problem of nuisance alarms. Follow the suggestions below until you find the ones that work for you. For anyone experiencing nuisance alarms, a smoke alarm with a pause or hush feature is a must. These alarms have a button which, when pressed, silences the unit for several minutes. The alarm will then re-set itselt automatically. It is highly recommended that any new smoke alarms purchased include this reature. Sometimes the solution to frequent nuisance alarms is as simple as moving the alarm to a different location. If at all possible, avoid having a smoke alarm in the cooking area. Moving an alarm from the kitchen to the hallway could solve your problem. If a fire occurred in your home tonight, would your family get out safely? Everyone must know what to do and where to go when the smoke alarm sounds. Port Colborne Fire and Emergency Services recommend that every household in Port Colborne make a home fire escape plan. Click here for more information on developing a home escape plan and additional fire safety tips. As many parts of Ontario prepare to be blasted by chilling Arctic temperatures this week, the Fire Marshal of Ontario is urging the public to keep fire safety in mind when taking steps to deal with colder winter weather. Winter months traditionally see more fires in Ontario homes related to heating equipment and appliances. People need to pay close attention to potential fire hazards related to the use of fuel-burning appliances, space heaters and even block heaters in their vehicles. In a fire situation, it is critical that everyone in the household knows what to do and where to go. Develop a home escape plan, indicating two ways out of every room, if possible, and review the plan with every member of the household. The plan should identify who will assist small children and any other vulnerable occupant to safely get out of the home. Include a meeting place outside the home, such as a tree, mailbox or neighbours house, where everyone can meet and be accounted for. Burn dry, well-seasoned wood in fireplaces and woodstoves to reduce the risk of excessive creosote build-up in chimneys. Allow ashes from your woodstove or fireplace to cool before emptying them into a metal container with a tight-fitting lid. Keep the container outside. Keep intake and exhaust vents for furnaces and heating appliances free of ice and snow accumulations to reduce the risk of carbon monoxide build-up from inefficient combustion. 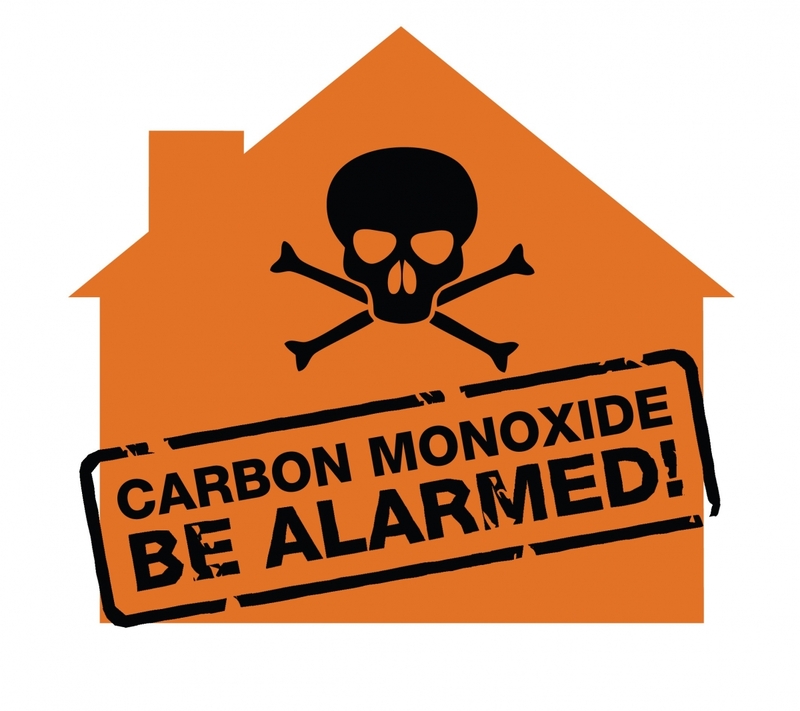 Install carbon monoxide (CO) alarms to alert you to the presence of this deadly gas. Keep space heaters at least one metre (3 feet) away from anything that can burn, including curtains, upholstery, and clothing. Replace worn or damaged electrical wires and connections on vehicles and extension cords and use the proper gauge extension cord for vehicle block heaters. Consider using approved timers for vehicle block heaters rather than leaving heaters on all night. Ensure that vehicles are not left running inside any garage or building. Ensure there is a working smoke alarm on every storey of your home. placed beside your boiler, as well as by all sleeping areas. Click here to visit the Office of the Fire Marshal website for additional information. Keep Fire Safety in mind as temperatures drop, fires related to heating equipment can occur.